The airsoft masks from Army of Two don't come cheap. That's one reason why you can be sure that they're made with high quality materials. Price start at $90 but it is definitely worth the purchase. The mask is made out of high-grade, heavy-duty polymer and comes complete with all the inner padding and protection required. The outer material is guaranteed durable while the cushions on the top, sides, and eye part make the mask a comfortable wear. The mask also comes with a 5-point strap that doesn't just assure a firm hold on your face ¨C it also provides for maximum airflow. The Army of Two Airsoft masks may come with either polycarbonate lens or mesh lens. While these attachments will suffice in protecting your eyes, it is still advised that you wear goggles underneath for added protection. The mask is guaranteed to be fog free. You can use it for hours and never sweat too much while wearing it. The airflow around the nose and below the eyes as you wear the mask is at its best. 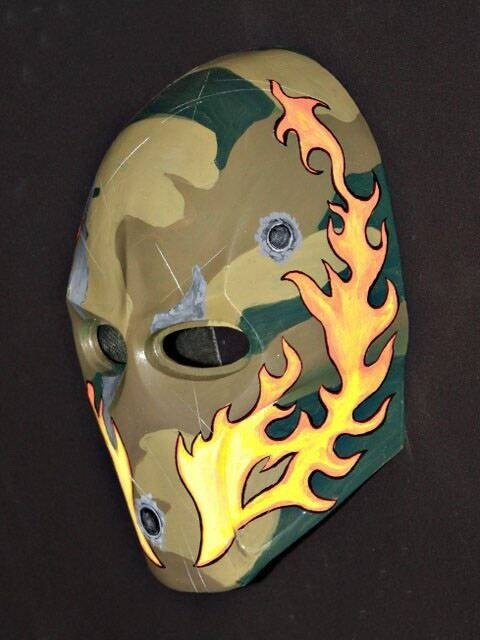 The Army of Two Airsoft mask is guaranteed to be durable. The color itself is hard to damage, even if you are subjecting it to pellets and airsoft bullets day in and day out. These masks are especially made for the field and under the very conditions they will be used for. Use it during any time or season of the year and you'll say it is really worth the investment.